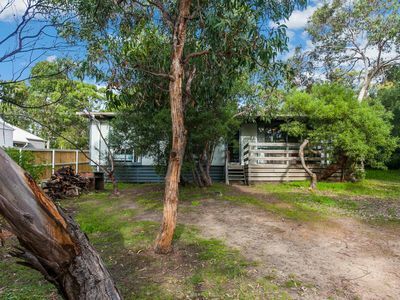 Ideal for families and groups, the Lake Hut is positioned on the shores of St Georges Basin, a large saltwater lake and peaceful bush setting. 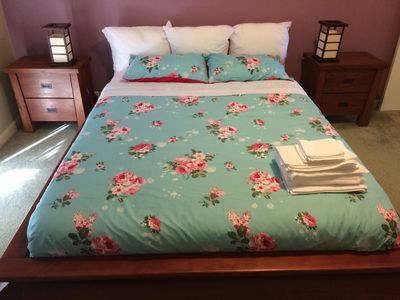 Just minutes from beautiful Jervis Bay and the Booderee National Park and just metres from a myriad of water activities, our quality lake accommodation is both unique and timeless. Fully self-contained with all the quality inclusions that come with a 4 star experience, guests can discover our nearby Marine and National Parks. 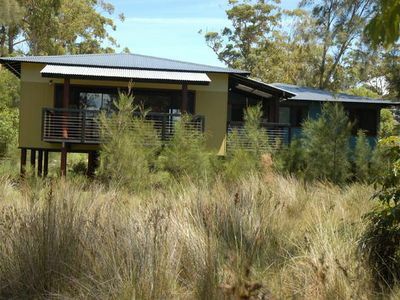 This is a retreat with an intriguing difference surrounding water and bush to reflect the true coastal lifestyle. Details: sleeps 9 with three queen bedrooms and one with an extra single bed, twin single bedroom, two bathrooms with spa and all conveniences. Includes kitchen with microwave, stove, fridge, laundry, barbeque and open-plan living area with electric log fire, TV and video. 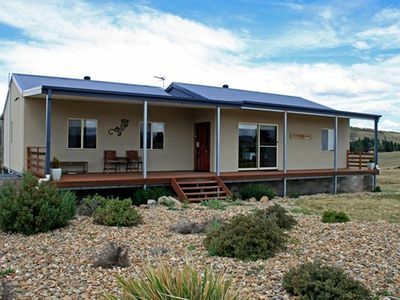 Worrowing offers 5 styles of self-contained accommodation from large open farm Houses to intimate and secluded Cottages, Eco-Cabins and Boat Shed Studios. – Views and access to St Georges Basin 20 metres away! 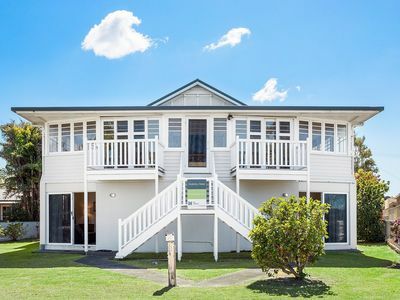 - Famous white sand beaches including Hyams Beach a 5 minute drive. – Cafes, shops, bars and restaurants at Vincentia (3 minute drive) and Huskisson (6 minute drive). 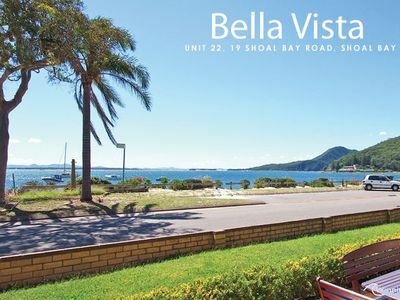 – Beautiful coastline and bushwalking trails, cycling tracks and cliff-top lookouts located just minutes away. Pay for 2 nights get an extra night FREE for 2 people.